The first time I read this book shortly after publication in 2009 I didn’t like anything about it. I didn’t understand Whitehead’s air of casual privilege. I reread it at the end of 2017 because a review by Brandon Harris in the New York Review of Books (Dec 7, 2017) about James McBride’s new collection of short stories, Five-Carat Soul, mentions Sag Harbor as “ravishing.” What did I miss? The short answer is that I missed everything. 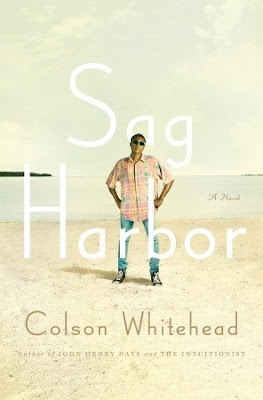 But without going back to interrogate that 9-year-ago self, I can’t be sure I didn’t just miss, but dismiss this gorgeously-written growing-up summer reminiscent of Bradbury’s Dandelion Wine. 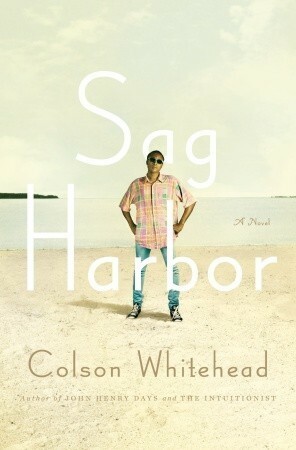 Whitehead surely didn’t have a white girl in mind as his target audience: he spoke to other young boys in a dangerous world who are uncertain, black, and soon-to-be men. This white girl gets to listen in. This second time I listened to Mirron Willis read the novel and he gave it the voice I needed for comprehension. And yes, I do get it now. That mid-1980’s summer on Long Island gave a look into a boy’s mind, how he thought, what concerned him most, the dangers that lurked at the edges of his testosterone-soaked consciousness. Even his obliviousness to moves made by the few age-appropriate girls in his cohort rang true. Often boys look poleaxed at that age—fifteen—they are thinking of other things while their body is reacting. What jerked me aware of my whiteness this time was the jokey nature of the not-quite-ready-for-the-world half-man Benji talking about the radio spot his father listened to about the shootings happening regularly and constantly, the shootings of black men, or women, dropped into the news like yesterday’s weather. All of a sudden I was willing to concede that his reality had real, unreasonable, and unexpected death in it, not mine, and I should shut my mouth and listen up. Once I gave him the reins, I could see and hear the way language was being used, see how capable that boy was of capturing a mood or the attitudes of his friends, his family. When BB guns crop up in the story, they immediately register as danger, despite the innocence all parties have exhibited to now. A group of teen boys testing the puncture power of BB shot from close range…it sets the blood pulsing and the mind reeling. A sense of danger is here to stay. A short section near the end telling of Benji’s exciting and mysterious older sister Elena is filled with a barely acknowledged yearning for connection so poignant our hearts break asunder. Benji’s discussion of his parents’ marriage, and the father’s oppressive attitudes towards his wife and children, explains an avoidance in the family dynamic with an authenticity that can’t be faked. Benji’s mother “disappeared, word by word” when his father became verbally abusive, and the sense of propriety Benji had developed somewhere led him to close all the windows in the warm house in an attempt to keep the parents' raised voices hidden from the neighborhood. That sense of shame is a just a shuttercock instant in a boy's life: a few years earlier, the youngster would not feel he had the agency, a few years later, he would realize this happens in every marriage. Some set scenes may challenge our credulousness, though anyone who has lived with a teenaged male may well be taken in: the pot of writhing maggots, the killing of houseflies with a rubber band, the first open-eyed open-mouthed kiss of a girl—all these elements of a parentless summer by the beach ring so true we feel the grit of wind-blown sand between our teeth. The beginning of the last chapter has some of the most beautiful writing I have seen anywhere, about the passage of time and reaching the end… of summer, of youth, of innocence, and somehow more than all that. This wonderful fiction deserves all the accolades it got at the time, and it makes me curious to try another of Whitehead’s novels, especially the science fiction. I will look at Underground… again, for my own benefit, but I may owe him an apology for a review that did not acknowledge that however he wants to write about his understanding of slavery is a perspective that I have nothing to say about.